Thursday 18th saw the opening of Nottingham's newest bar and restaurant in the heart of the fashionable Lace Market. 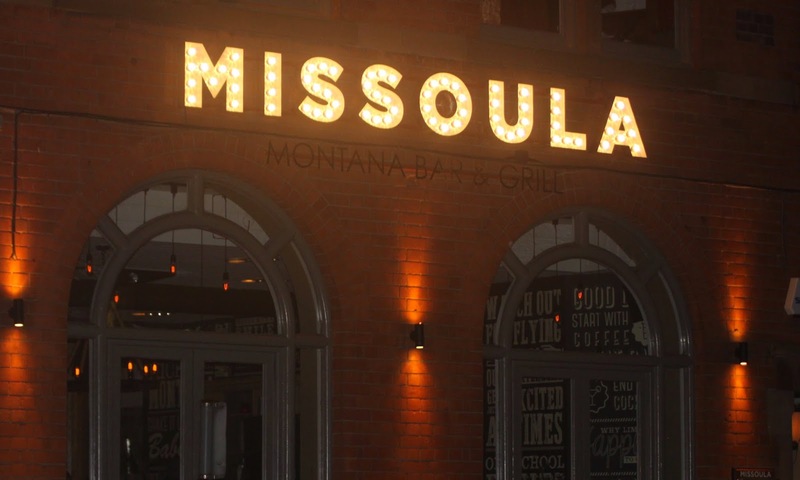 Missoula Montana Bar and Grill on High Pavement promises to offer something different to Nottingham's food and drink landscape with hearty American food inspired by the bountiful state of Montana and a select drinks menu with an American edge. I always loved the Living Room bar in the heart of Nottingham's Lace Market area. It was always lively and had a feel good atmosphere so the knowledge that the Living Room was closing came as a bit of a shock having friends who have had wedding ceremonies there and having spent time in the bar on many weekends. Sometimes change is a good thing and the investment made by the Stonegate Pub Company certainly sparked my interest. They've spent over £300,000 on changing the site in the heart of the Lace Market which should add a little spice to what was an already popular bar and restaurant. The VIP opening party gave us a great opportunity to check out this exciting new Nottingham bar for ourselves and savour what it has to offer both drinks and diners. As food lovers it's always going to be the restaurant and menu that appeal to us most. (We're hoping to sample the main menu next month so should have a more in depth food review from Missoula Nottingham posted soon). Up on the first floor is Missoula's restaurant, Featuring a selection of rustic wooden tables and cladding to the walls the restaurant area adds a modern touch to mid-west heritage whilst having a very contemporary feel. Uniqueness comes in the detailing. In the back corner of the restaurant are a selection of booths with seating featuring featuring a striking cow hair pattern and many of the chairs feature a selection of American Indian style designs. The styling really works for me by doing nothing to excess which gives an air of authenticity which we believe is unlike anywhere we've been in the city. 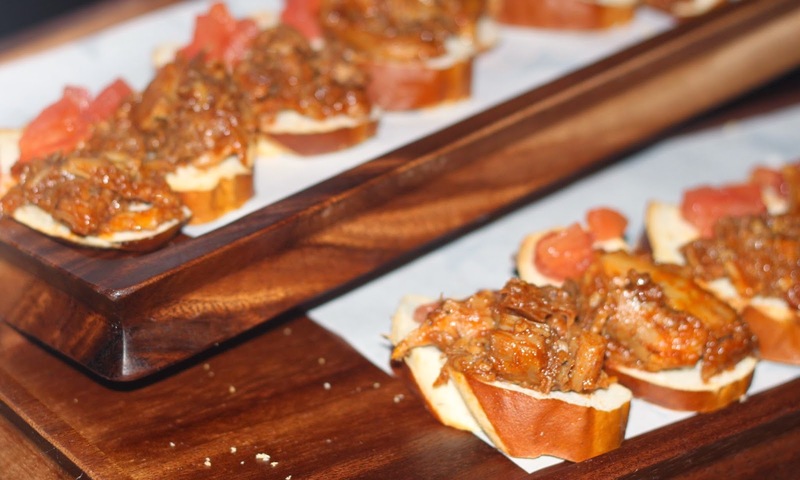 The menu brings some great twists on American food which with the rise of Pulled Pork has gained significant popularity of late which should bring significant interest to local food lovers looking for a different take on American food. Meat lovers are particularly well looked after with some fine USDA steaks to get your teeth into. The menu seems to be a great conversation starter for diners which opens up the restaurant as a potential great place for a date or special evening. We love the idea of their Pretzel Crusted Sea-Trout as a fish lover. The delicate flavours of moist sea-trout should work well with a slightly salty, malted crumb created from pretzels. It sounds so good that I might just have to try doing something along those lines at home. The hanging skewers sounds great also and having seen a few amazing looking photos on Facebook they're definitely on our "Must Try" list when we dine at Missoula next. Missoula offers steaks from USDA imported American beef. The cattle are corn fed of Creekstone Farms which should give great flavour. Expect to pay upwards of £20 for a steak main course but the standard of beef sounds like it's worth the expense. 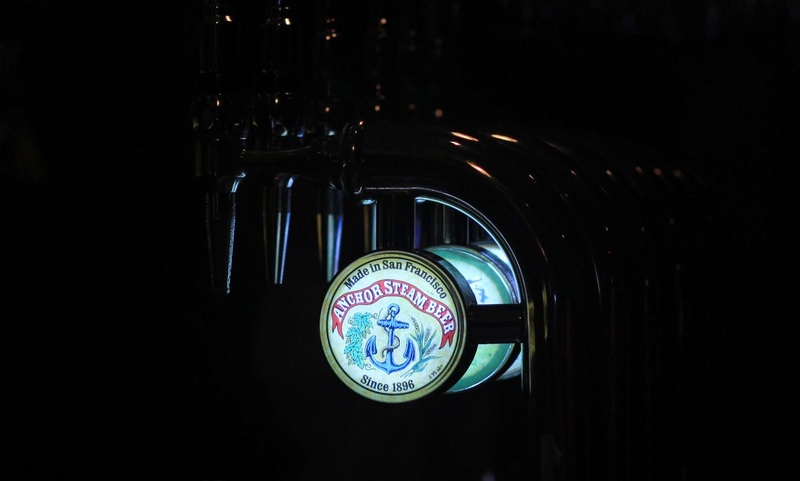 They do offer a selection of regular steaks but our hunch is people will happily go for the best stuff as a treat. The Living Room was always one of Nottingham's busiest bars of a night and I have a feeling that Missoula Will be no different. They seem to have kept the old Living Room bar itself in place whilst adding some select choices to their drinks menu to really add to the venue's character. The VIP party saw us sampling some of the amazing cocktails the bar has to offer. We started by sampling a refreshingly tart Blueberry Mojito (Mocktail and Cocktail varieties) although I really wanted to try one of the bar's American ales and went for a pint of Shipyard American Pale Ale. A dry, yet citrus ale full of delicate flavour and well worth sampling if you fancy a change. Missoula offers drinkers and dinners a fantastic atmospheric venue to indulge in something a little bit different. The menu offers a selection of good hearty American inspired food choices with a uniqueness that we feel dinners will come to love. As a bar Missoula seems poised to take over where the Living Room was primely placed as one of Nottingham's most popular bars. The extensive cocktail and drinks menu will provide something for everyone to indulge. It's definitely the kind of bar you'll see us in- Lots of new drinks and dishes to try with plenty of variety.